Kodie, a 2-year-old Golden Retriever, recently welcomed 5 boys and 4 girl puppies in Montana. 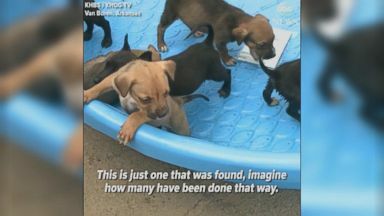 These nine puppies were abandoned next to a trash can in California. 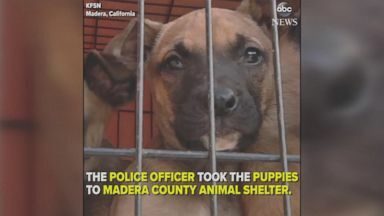 Police rescued them, and now the healthy pups are up for adoption. 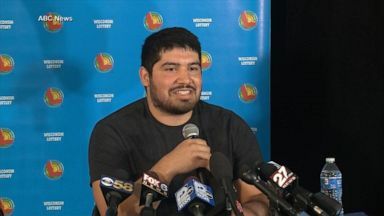 The 5-week-old puppies will likely be transferred to an out-of-state shelter.